The PEAK TV Season 7 Premieres This Sunday! • St. Luke's is committed to healthy lifestyles; by implementing their very own organic farm, they have taken the initiative a step further! Learn more about how the St. Luke’s | Rodale Institute Organic Farm at Anderson campus is raising awareness about healthy eating and healthy food choices through education and distribution of its own organic goods. • The conservation of animal life has become a vital mission around the world. The Lehigh Valley Zoo makes conservation education a part of the fun experience offered to all guests! Join host Mike Mittman as he tours the zoo and learns more about its efforts to save our animals! • Every year, United Way of the Greater Lehigh Valley brings together countless volunteers for one remarkable day to fulfill needs in our community. The annual gathering changes the lives of those in need, those who help, and marks the official kickoff of the Annual Campaign. Lafayette Ambassador Bank President and CEO, Gerry Nau, joins us in studio to discuss his role as Campaign Chair and the impact Day of Caring makes each year. • St. Luke’s "Impact on Education"
The PEAK TV premieres this Sunday, September 27th at 6:30pm on WFMZ TV – Channel 69 (Service Electric HD Channel 8 & 508, RCN Channel 7 & 1007). Emmy® winning PEAK TV is a thirty-minute television program focusing on health, wellness, lifestyle and community in the Lehigh Valley. 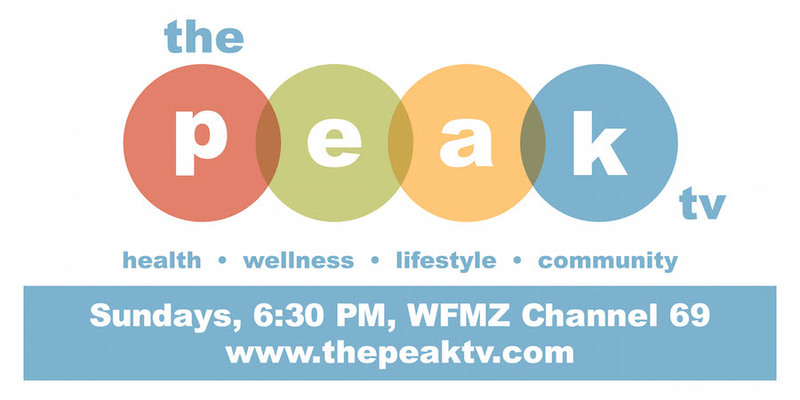 Hosted by Ashley Russo and Mike Mittman, The PEAK TV features stories that educate and inspire viewers to be healthy and get involved! Since its first episode in 2012, The PEAK TV has earned nominations each year, and in 2013 was awarded a Mid-Atlantic Emmy® in the Human Interest Program Feature for “Laughing at My Nightmare” featuring Shane Burcaw. The Show was most recently awarded a second Mid-Atlantic Emmy® in the Health/Science/Environment Feature/Segmentcategory for “Temple/St. Luke’s Medical School Clinical Simulation Center”. The PEAK TV airs Sundays at 6:30 PM on WFMZ-TV Channel 69 (Service Electric HD Channel 508, RCN Channel 1007), re-airing Sundays at 5:30 AM. The PEAK TV is also seen nationally on DrTV Channel Tuesday 1:00 PM EST & Friday 3:30 PM EST with LIVE broadcast available on their website www.drtvchannel.com. For more information, visit www.thepeaktv.com.